What’s Your Favorite Yarn Weight? 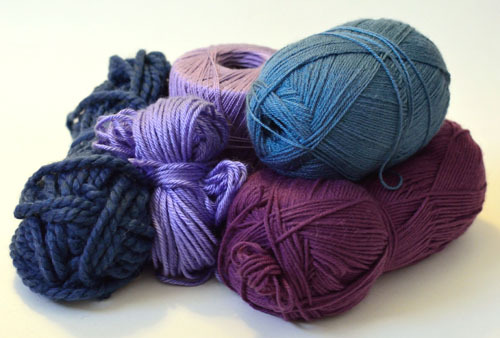 Yarn comes in all sorts of different weights and thicknesses, from thin crocheting thread to super bulky weight yarn. Your favorite weight may be influenced by your favorite crochet projects. If you love doilies, then you might enjoy crochet thread. If you love clothes, you might enjoy a light weight yarn. Or perhaps your favorite yarn weight is determined by what is readily available for purchase near you. Lots of craft stores stock a lot of medium worsted weight yarn. 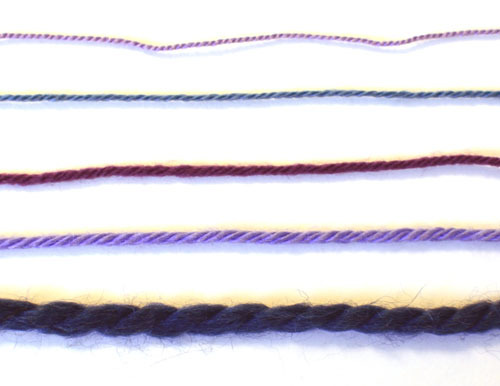 Do you have a favorite yarn weight? What do you like to crochet with it? Share your thoughts in the comments below and see what others are saying! This entry was posted on Friday, December 1st, 2017 at 8:42 AM by Rachel Choi	and is filed under Fun Ramblings. You can follow any responses to this entry through the RSS 2.0 feed. You can skip to the end and leave a response. Pinging is currently not allowed. What Is Your Most Used Crochet Hook? I use worsted weight yarn a lot just because it’s what I used when I first learned to crochet and it’s everywhere in all the stores. I like crochet thread, sock yarn, sport yarn, DK, and sometimes worsted, My hands can’t handle bigger than size 8 knitting needles. Love me some teeny tiny crochet thread. Gotta take advantage of my eyes and hands while they’re still young enough. Rachel, do you have a pattern for the crochet frisbee that everyone is talking about? Hi Marcia! Sorry, I don’t have a frisbee pattern at the moment, but it sounds like something fun to make in the future.